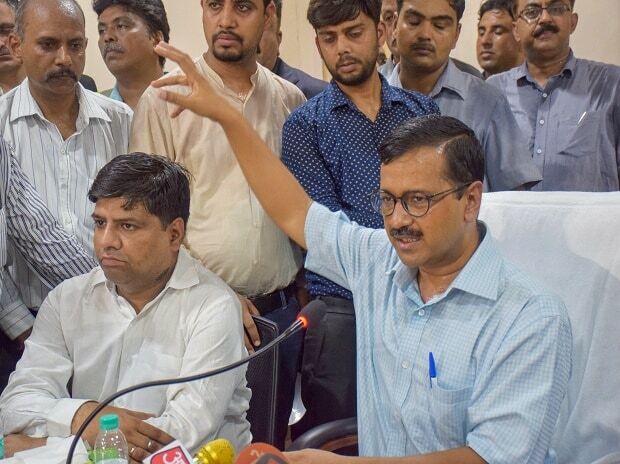 Delhi Chief Minister Arvind Kejriwal Wednesday claimed the AAP leaders were tired of trying to convince the Congress to form an alliance with the party, asserting the arrangement would result in the BJP losing all the Lok Sabha seats it currently holds in the national capital. In his speech at a public rally near Jama Masjid in Delhi, he also lashed out at Prime Minister Narendra Modi and BJP chief Amit Shah, accusing them of dividing people. "We are tired of convincing the Congress to form an alliance, but they do not understand. If there is an alliance, the BJP will lose all the seven Lok Sabha seats it currently has in Delhi," the AAP national convener said. The rally was organised in the minority dominated pocket of Chandni Chowk Lok Sabha seat, currently held by Union minister Harsh Vardhan. "I dont know what they have in their minds," he said about an alliance with the Congress and alleged that it was "weakening" the AAP in Delhi, drawing comparison with the SP-BSP combine in UP. Earlier this month, Kejriwal had told reporters that the Congress has "more or less" ruled out an alliance with the AAP for the Lok Sabha polls. In his attack on Modi and Shah, the AAP leader alleged that if the BJP returned to power, the country would lose its Constitution and democracy. "Beware of the division of votes. Vote for the AAP because it can defeat the BJP and Modi in Delhi," he told the crowd. He alleged that Pakistan dreamt of fragmenting India and the people and it failed, but Modi and Shah achieved in four years what the neighbouring country could not do in 70 years. "If they come back, the country and its democracy will not survive," Kejriwal alleged. He said the upcoming Lok Sabha election was not about who becomes the prime minister of the country, it was about removing Modi and Shah. "Those who have any feeling for the country, should defeat them at any cost in 2019," he said. Kejriwal claimed that the BJP is going to lose 10 per cent votes this time as compared to the 2014 Lok Sabha polls when it got 46 percent votes in Delhi. If these votes go to the Congress, BJP will win all the seven seats again, he asserted asking the people to vote for AAP.